Social Network analysis is a hot topic within both mathematics and the social sciences, but all of the research thus far has focused on identifying networks that exist within current communities. This leaves the majority of social networks that have existed throughout the history of the world outside of the realm of study. Therefore our proposal is to leverage the existing physical network data embedded in the graveyards around Boston to develop a model of the social dynamics of pre-revolutionary times. the complete evolution of number sense in a species, from its initial appearance in the beginning of life to its peak during maturation to its decline at the end of life. Such an ambitious study would seem to need its time frame measured in decades, if not centuries, except that our study subject will be the Mayfly. With a lifespan that varies from only 30 minutes to one day, we expect to be able to finish our study in a matter of days after funding is received. Physical comedy has shown itself to be both the only universal and timeless form of comedy. While spoken comedy varies across time from one-liners to observational humor, a man slipping an falling on a banana peel stays as funny to Canadians as to Taiwanese. We are an elite team of social psychologist, performers, kiniseologists, statisticians, and mathematical modelers and our single goal is to create the equation for the perfect pratfall. We plan to use a double blind study where our performers fall in a variety of manners, caused by a variety of reasons, and in a variety of situations and then give the results of the studies to the statisticians for analysis from which our models will create a simple equation so that all of us will soon be able to perform the perfect pratfall. One of the most important, and most famous, mathematical theorem’s in the world is ready to be solved. Fermat’s Last Theorem may have stood up to all of the might of mathematicians for the past few centuries, but we have confirmed initial results and believe ourselves to only be a short way from the breakthrough. In particular we are planning on using the mathematics of elliptic curves and modern algebraic geometry, such as Iwasawa theory, to achieve this seminal result right here in the United States of America. I interview a lot of mathematicians and one of my favorite topics is the origin story, the why behind their study of mathematics. I have received answers that range from heavy Martin Gardner influence to falling in sideways from engineering. One thing that I have not received is the story of a single moment, a single turning point that turned a civilian into a mathematician; this is just such a story. I graduated from high school one year early. I think I was the only person who actually thought this was a good idea. My school did not especially want me to leave, and my father had informed me that even though I was graduating I was still too young to go to college and would be taking the next year off. Not that any of this bothered me at all, I was going to be able to exit the doors of my rural school before the rest of my class and never have to sit through another day of high school again. I was ecstatic. I spent that year off waking with the sunset and going to sleep with the sunrise. I spent that year off in the local coffee shop with my friends doing nothing of any consequence. I spent that year off reading, watching TV, and goofing around on the internet. It was everything that I wanted it to be, but I was looking forward to going to college. I applied, and was accepted, to a program where I would learn to program video games. I was once again ecstatic, until I saw the bill. It was simply too much. Even with student loans I would not be able to afford one year, much less four, and so began my second year out of school. I spent the second year doing much of the same things, but a decent amount of the sheen of the do nothing lifestyle had worn off. Most of the people I had spent my years in school with had now gone off to college, and here I was still stuck even though I had graduated before them. I was starting to feel a bit lost, a bit out of place as a townie. I had graduated knowing that I was destined to do something great, and here I was at 3 AM cruising science fiction message boards arguing about how the novels set after Return of the Jedi were superior to the Old Republic fare in the Star Wars Expanded Universe. This was my mental space when I went along with my father to a meeting about growing local commerce in his home town, where he was going to talk about how to run a local produce market. The meeting was boring. Actually that is not right, the meeting was interminable, tedious, monotonous, tiring, dull, wearisome, irksome, and lifeless. Within 10 minutes I was ready to leave, and within 20 I was ready to volunteer to be the lamb that clearly needed to be sacrificed at the altar of the unholy deity responsible for the meeting in order to bring about its conclusion. After going to grab my fifth complimentary cup of watered-down coffee I flipped over the paper plate that had held the cookies I had eaten earlier and started to write. Well not write exactly, what I did was start to do derivatives and integrals. It had been nearly two years since I had studied calculus at that point but I found that the rust soon flaked off and I was chain ruling and + c-ing with the best of them. The meeting soon became the background noise for my rediscovery of mathematics, and before I knew it my father and I were driving home. My initial hatred of the meeting had long since abated as it had led me to one of the most important realizations of my life, I was going to become a mathematician. How would you calculate ? I remember being sent as a boy of ten into the schoolyard to find circular objects to measure. Our attempts to wrap a tape around a dustbin lid clearly did not represent the optimal method. Perhaps you know a few digits of . Starting from scratch, how would you find more? We know is irrational, so it cannot be expressed as the ratio of two numbers. Worse, is transcendental, so it is not the solution of any polynomial equation with integer coefficients. There is a passage of the Bible (1 Kings 7:23) which refers to “a molten sea” which is “ten cubits from the one brim to the other” and “a line of thirty cubits did compass it about”. This figure of did not represent the state of the art, with more accurate values being recorded much earlier in Egypt and Mesopotamia. A famous approximation is attributed to Archimedes (287-212 BC), who worked using only geometric methods. Archimedes took a circle and inscribed within it a polygon. The perimeter of the polygon, which is contained within the circle, is smaller than the circumference of the circle itself. Then he superscribed a polygon outside the circle. The perimeter of this second, larger polygon is larger than the circumference of the circle itself. If you think about increasing the number of sides on a polygon you will notice that the more sides a polygon has, the closer it gets to the shape of a circle. 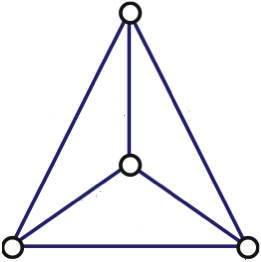 By increasing the number of sides on his two polygons and considering their perimeters, Archimedes could define two series, one increasing and one decreasing, both of which have in their limit. Others, following the method of Archimedes or developing it independently, extended to polygons with greater numbers of sides. This method culminated with Ludolph Van Ceulen who, around 1600, produced an approximation for to 35 decimal places. Those 35 digits were inscribed on Van Ceulen’s tombstone. Machin used this formula to calculate one hundred digits of in 1706, the year William Jones introduced the modern use of the Greek letter π. Computers enter the story in 1947 when D. F. Ferguson of the Royal Naval College in England calculated to 710 digits with a desk calculator. In 1950 George W. Reitwiesner published more than 2000 digits of in the journal Mathematics of Computation. These digits were calculated on the ENIAC computer at the suggestion of John von Neumann, who was interested to obtain a statistical measure of the randomness of the distribution of the digits (whether digits occur equally often in remains an open question). Reitwiesner and his team used the same formula as Machin and ran ENIAC for around 70 hours, including the time taken to handle the punch cards. In 2011 Shigeru Kondo set this record on a custom-built home computer using y-cruncher, a program written by Alexander Yee, to calculate to ten trillion digits. Why your friends have more friends than you do. That is the rather provocative title of a 1991 paper by Purdue University sociologist Scott Feld. While the title is rather provocative, thankfully it turns out that the statement is built on a solid foundation. It turns out that your friends having more friends than you do is a consequence of the fundamental structure of networks. It comes down to the difference between the average number of friends that any node in a network has versus the average number of friends of friends. Think of a party where the host invites 20 people, none of who know each other. 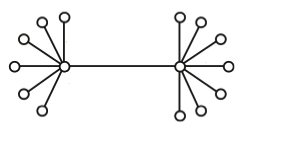 The network that represents that party would look like one node in the center with 20 lines connecting it to otherwise unconnected nodes all around it. Now if you were to look at the average number of friends for any node in this network you have 20 nodes that have exactly 1 friend and one node that has exactly 20 friends, so you end up with an average of 40/21. So the average number of friends is just under two friends per node. Now the number of friends of friends is counted a bit differently. First you count the total number of friends of friends. In this cases all 21 nodes have a friends of friends number of 20. and therefore there are a total of 420 friends of friends in the network. Then you have to take that number of friends of friends and divide it by the total number of friendships in the network, which was reckoned above to be 40. This gives us an average number of friends of friends of 10.5, which is rather larger than the average number of friends. This is simply down to the host being counted 20 times in the friends of friends calculation, versus all of the guests only being counted once. It is similar in all networks, where the nodes with more connections are counted more often when figuring out the average number of friends of friends. much better than their personal experiences have led them to believe. This would have all probably stayed in the world of sociology, if Harvard’s Nicolas Christakis had not taken a look at Feld’s work and seen that it could have a very different application. Nicolas Christakis is a physician and social scientist who, along with UCSD’s James Fowler, uses the tools of social network theory and sociology to help solve health problems. In a talk to TED in Cannes, France Christakis spoke about a new application of people’s friends having more friends than they do. He had been working on using social networks to help predict the spread and outbreak of epidemics, but he had been running into a problem. In Christakis’s own words, ‘The problem, however, is that mapping human social networks is not always possible. It can be expensive, not feasible, unethical, or, frankly, just not possible to do such a thing. So, how can we figure out who the central people are in a network without actually mapping the network?’ This is where Feld’s research comes in. Since Christakis was looking to help predict the spread and outbreak of epidemics he needed to be able to observe the most central and important nodes in a network. He knew that while random choice of people would not be the most useful tactic to use; perhaps if he took his random choices and asked them to nominate a friend they would be more central because, as he knew, they were likely to have more friends than his original choice. This idea would turn out to be rather potent. Christakis used this method of friend nomination to study the spread of the swine flu, H1N1, through a population of Harvard students in 2009. He followed the people he had randomly chosen and the friends that they had nominated and within the friends group he received data that pointed towards an impending outbreak 46 days before the same indication of an outbreak appeared in the data from the randomly chosen group. That is a month and a half earlier warning of an epidemic, which could really help battle the spread of disease in the future. This is not just tied to epidemic research either, as a marketer could use this to help predict what trends will become hot before their competition has any idea or a pollster could see which presidential candidate is picking up steam before their campaign even has any idea. Christakis does say that the amount of notice that one would get from using this method would vary, but it turns out that Feld’s provocatively named paper is a more useful tool than Feld ever could have imagined. The light bulb puzzle presents you with three switches, one of which controls a light bulb inside a closed room. You are permitted to flip switches as much as you like, then you must open the door and say which switch controls the light bulb. You don’t seem to have enough information. You can flip one switch and open the door. If the light is on then you have found your switch. However, if the light is off you can’t tell which of the other two switches controls the bulb. The solution is to first flip a switch on for ten minutes, then off again. Now flip a second switch on and open the door. Leaving the light bulb on for ten minutes would allow it to heat up. Then, if the light is on or off and hot, you know which of these two switches was the cause. If the bulb is off and cold, you can identify the third switch. This puzzle annoys me, but I was not sure why. I heard the following as a “grammar test”: which is correct, “the yolk of an egg is white” or “the yolk of an egg are white”? The answer was given as: “don’t be silly, the yolk of an egg is yellow”. This annoyed me because it was set up as a grammar test so I took the incorrect yolk colour to be a mistake in the statement of the problem that was safe to ignore, restraining myself to the grammatical aspect. 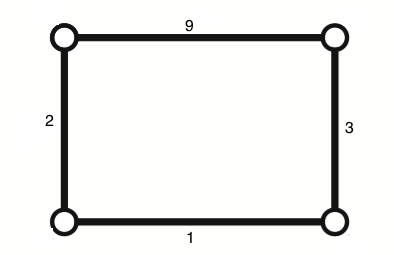 Here is another puzzle, a sorites. Sorites were included by Lewis Carroll in his book Symbolic Logic (1897). Your task is to arrange the following logical statements into a chain to draw a conclusion. no one is despised who can manage a crocodile. In this case, since babies are illogical, illogical persons are despised and despised people cannot manage crocodiles, we conclude: “babies cannot manage crocodiles”. I have presented this to someone who said that the result is obvious since of course a baby cannot manage a crocodile. However, there is no requirement for the statements in a sorites to be true. Are illogical persons, including babies, really despised? This is a logic puzzle in which the question of whether a baby could manage a crocodile in reality is not relevant. Is there a way to fix the puzzle to remove the irritation? Mentioning in the statement of the puzzle that the bulbs heat up would give the game away, while not mentioning it situates the solution outside the constrained reality of the puzzle. Consequently, this cannot work as a viable puzzle. That is why the hot light bulb annoys me. “Bring them up on the table. While you are at it, get me a bowl of cereal and a 3 cup brew at the 2.2 ratio,” requests Lee as he walks into his bathroom. Quick cleansing blast and face splash later, Lee emerges and strides to sit down at his table. Ignoring the cereal bowl and coffee carafe he immediately starts waving his hands over the display embedded in the surface. Smile growing on his lips Lee leans back, “Good. Code it up, Polymath Standard, and get that potential public and be sure to raise its important flag as high as you damn well can. This is one that the community will like, I can feel it. In fact, bring up the workspace, I am going to have some fun with it myself.” News feeds replaced with blank white space, Lee’s crinkly brow comes back as he fills the display with group theory. Diffusion is a physical process that is an essential component of innumerable phenomena in nature, including when your lungs transfer oxygen into and carbon dioxide out of your blood. Now a fundamental principle behind diffusion has at last been experimentally verified. An ergodic dynamical system is one for which the average behaviour of a single component over time is the same as the average for all components at a single time. This allows researchers to assume for some systems that measurement of a given variable on one particle – such as the distance covered by a particle in a given time interval – should yield the same average value as a single measurement of the same variable on a collection of particles, so that each particle behaves as a small version of the system as a whole. It is generally accepted that the ergodic hypothesis is applicable to the dynamics of diffusive processes. Diffusion describes the spread of particles through random motion under the influence of thermal energy. In virtually all chemical reactions, diffusion is responsible for bringing reactants sufficiently close together to enable them to react. However, as Professor Jörg Kärger at Leipzig University points out, “although diffusive processes have been investigated for the past 150 years, the principle of ergodicity has not yet been experimentally verified”. This is because so far it has only been possible to quantify diffusive processes by measuring many particles simultaneously. A collaborative effort by Professor Kärger’s group at Leipzig University and Professor Christoph Bräuchle’s team at LMU Munich looked to measure the diffusive behaviour of a system of particles and the trajectories of single molecules in the same system. The LMU researchers were able to track individual molecules, while the Leipzig group could study the collective behaviour of the whole system. The problem for the teams to overcome was that successful application of the two methods requires apparently conflicting conditions. The Leipzig group’s method needed high concentrations of molecules with large diffusion coefficients, while the LMU team’s method works best with extremely dilute solutions of species with small diffusion coefficients. Using particular organic dyes with high fluorescence yields in combination with porous silicate glasses containing networks of nanometer-sized channels in which the dye molecules can diffuse, the researchers were able to create a system on which both techniques could be performed. Comparing data, the two teams found that the diffusion coefficients obtained by the two techniques agreed with each other, providing the first experimental confirmation of the ergodic hypothesis in this context. This work is important because sometimes a mathematical theory can make accurate predictions about the real world up to a point but not actually reflect the real world context. A nice example is from cosmology in the late 16th Century, when mathematical models of the universe with the Earth or the Sun at the centre both produced viable predictions of astronomical events like eclipses. Further experimental data was needed to demonstrate that one reflected physical reality more accurately than the other. In this way, experimental checking of fundamental principles, such as the current work at the Large Hadron Collider, is important whether or not it backs current theory. Based on press release: ‘Glowing beacons reveal hidden order in dynamical systems – Experimental confirmation of a fundamental physical theorem‘, 19 October 2011, Ludwig-Maximilians-Universitaet Muenchen (LMU). Research published as Feil, F., Naumov, S., Michaelis, J., Valiullin, R., Enke, D., Kärger, J. and Bräuchle, C. (2011), Single-Particle and Ensemble Diffusivities—Test of Ergodicity. Angewandte Chemie. It has come to our attention that you have submitted a paper to the Journal of Amazing Mathematicsentitled “A Simple and Concise Proof of Goldbach’s June 30th, 1742 Conjecture”, which we are going to kindly ask that you withdraw due to copious infringement of the patents held by our client, Consolidated Venture Solutions Inc., herein referred to as CVSI. As we are sure that you are aware the Court of Appeals for the Federal Circuit on Aug, 16 2011 decided the case Cybersource Corp. V. Retail Decisions, Inc., which set the precedent that if the Mathematics is sufficiently hard then it is patentable. After which, and pursuant to, our client CVSI acquired the patents to many Theorems, Corollaries, and Lemmas, of which you find yourself in violation of no less than five. In fact you will find that in many previous court decisions the person who first writes down a theory is given priority in patent fights and therefore you can not claim priority on the Goldbach Conjecture, as Goldbach’s claim is more than two centuries before yours. As CVSI owns the collected work of Goldbach they thereby own the Conjecture. We, of course, would have no issue helping you and CVSI reach an agreement over licensing the patents that you infringed, and such an action would allow you to publish your paper without the spectre of future legal issues. In fact, CVSI has even indicated that they would be willing to give you a share of the residuals that will, without doubt, be derived from Goldbach Conjecture licensing, in respect to the quality of work displayed in your paper. If you do decide to go forward with the publication of this paper without licensing though, we will immediately file a lawsuit that we will win and you will not see a cent. In recent years I’ve felt quite glad I never read G.H. Hardy’s massively influential book A Mathematician’s Apology (1940). I’d heard of this by the time I arrived at university but never got around to borrowing the copy I saw in the Hall library. Recently I decided to take a look and found much to dislike. First, there’s his view of public communication of mathematics. Sometimes it seems all advice on public engagement starts with a quote from the Apology; as though a mathematician must acknowledge, like Hardy in his introduction, the improper nature of their endeavour. is a confession of weakness, for which I may rightly be scorned or pitied by younger and more vigorous mathematicians. I write about mathematics because… I have no longer the freshness of mind, the energy, or the patience to carry on effectively with my proper job. You may be aware that this blog takes its name from the Apology‘s opening paragraph. Hardy regards communication of mathematics as work for ‘Second-Rate Minds‘. We quote Hardy with irony, because we do not agree with him. I believe there is great importance in communicating mathematics as widely as possible. I think it is important that children are encouraged to enjoy mathematics so that they might take further interest in the subject. Equally important is the view of mathematics held by the general public. Despite Hardy’s disdain for applications, mathematics nevertheless pervades the modern world and benefits from society valuing its role. I feel sorry that a passionate and able communicator may not be valued by mathematicians, and that such abilities might be tempered by concerns about the scorn of one’s fellows. I happily accept that outreach is not for everyone; indeed society will benefit more from most mathematicians getting on with their research. Still, I don’t think we should look on those with a passion for communicating their subject as having failed. I’ve chosen to pick on Hardy for his views on public communication of mathematics, though there’s much else I find fault with in his Apology. He expresses several opinions which are these days widely held and which I dislike. Hardy is a proponent of the unfortunate cult of youth, writing, “if a man of mature age loses interest in and abandons mathematics, the loss is not likely to be very serious either for mathematics or himself”. Hardy hates teaching, although loves lecturing to “extremely able classes”. Perhaps most famously, there’s his view on the “utility” of mathematics. It is easy to pick on a number theorist writing in strong terms against mathematics that can be applied to the real world, particularly to the business of war, at a time when modern cryptography was being nurtured at Bletchley Park. I have seen people take this argument to an extreme, somewhat unfairly since Hardy also writes against the “misconception” that “pure mathematicians glory in the uselessness of their work, and make it a boast that it has no practical applications”. Having criticised these views, there is much in the Apology that is thought provoking and it is certainly worth a read. I like some of what Hardy says about the nature of mathematics and there is an interesting and frank account of what led him to the subject as a boy. Still, I am not sad that I missed reading the book in a more formative state of my development. Afterword: Although I didn’t realise it at the time I sent the first draft of this text to Samuel for editing the morning after Sarah Shepherd died. A few days later when I received Samuel’s comments I had heard the news. I haven’t changed the substance of the piece since then, just tidied up a couple of useful points Samuel made about the flow and grammar of what I had written, yet the topic is curiously close to my involvement with Sarah’s work. I think Sarah would have agreed about the importance of promoting mathematics and the place of applied mathematics. She wrote passionately about the value of mathematics applied to the real world and the importance of communicating this to children and the general public. Through her iSquared Magazine she encouraged many young researchers to take their first steps in public engagement by writing about their research area for a popular audience. Consequently I dedicate this essay to Sarah Shepherd. One does not often use the term magic when referring to a mathematical idea. Proof, theorem, unequivocal truth all come up much more often. The one case that many people will be acquainted with are Magic Squares. 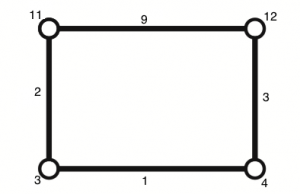 Magic Squares are square arrays of integers such that all of the rows, columns, and diagonals sum to the same integer. I on the other hand am much more interested in a different, albeit similar, type of Magic; the magic of certain types of edge labelings of graphs. The graphs I refer to are not the lines and parabolas of middle school algebra, nor are they the stock price plots and histograms from newspapers. These graphs are a much more abstract concept derived from the work of the great Swiss mathematician Leonhard Euler, of vertices that are connected together by edges. This has turned out to be an incredibly powerful tool in mathematics that has led to major results which include, but in no way are limited to, that four is the maximum number of colors needed to fill in a map so no two bordering countries are the same color and a more effective method for the prediction of just when a disease, such as the swine flu, is going to reach epidemic status. An edge labeling of one of these graphs is exactly what it sounds like, placing labels on the edges of these graphs. The specific type of labeling here requires all the labels to be integers that are not 0. After a graph has an edge labeling it is then possible to create a vertex labeling by summing together all of the labels of the edges that connect to a vertex. If this vertex labeling is constant, the same for all vertices, then it is said that edge labeling is magic. Before I go any deeper into a discussion of this please determine a magic labeling for the following two graphs. For a mathematician just finding a couple of these magic-labelings would be fun but ultimately not very interesting, so let us start to restrict ourselves. Let us begin by only labeling the edges of our graphs with positive integers that are less than some integer n. Once there are labels on the edges the next step is to find the vertex labels and here in is the second restriction, addition modulo n. Modular addition, written as a+b mod n, is equal to the remainder of a+b when it is divided by n. Take for example 4+3 mod 2. This is equal to 1, since 1 is the remainder when 7 is divided by two. In a similar way 4+2 mod 3 equals 0, can you see why? If we try to label with these restrictions we could just maybe, begin to see patterns. In fact, mathematicians refer to all of the integers n such that there is magic labeling under this restriction as the integer-magic spectrum of the graph. 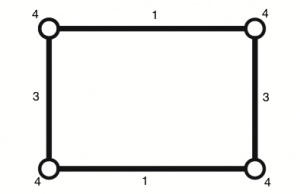 Some graphs have integer-magic spectrums that contain all of the positive integers, such as Graph 1. Others have more limited integer-magic spectrums, Graph 2 is a good example as its integer-magic spectrum is all of the even numbers greater than 2. Then you have examples, like the graph below, which allows no magic labeling, or in other words is just not magic. In order to have even more fun some mathematicians, one who even looks very remarkably like myself, have asked the following question: Which members of the integer-magic spectrum of a graph allow a vertex labeling of 0. If there is such a zero magic-labeling then it is said that n is in the null-set of the integer-magic spectrum of the graph. I happen to know the null sets for the graphs pictured above, can you find them?